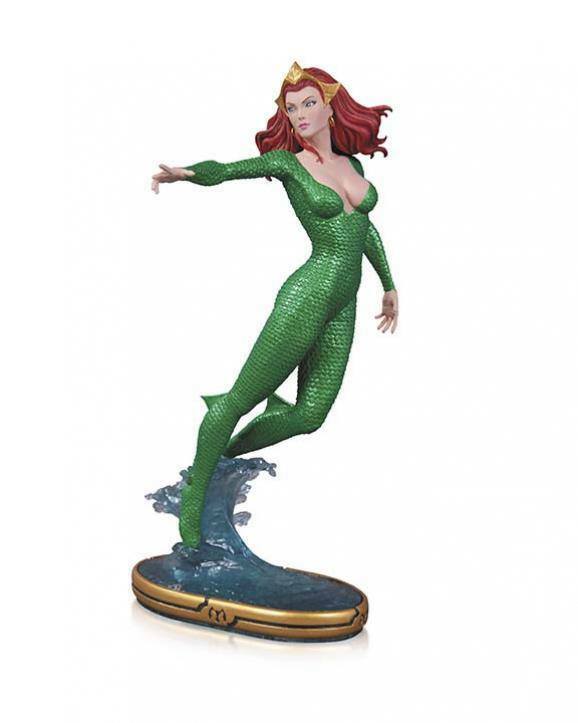 From the DC Collectibles Cover Girls of the DCU collection, this statue features Mera. The beautiful Queen of Atlantis, Mera, is sculpted with amazing detail from the facial expressions to the meticulous scales on her costume. The statue even incorporates a water effect at the bottom of the base. Designed by Stanley "Artgerm" Lau and sculpted by Jack Mathews, this statue measures approximately 10 inches tall. Limited edition run of 5,200. Add Mera to your Cover Girls of the DCU collection today!